Jack is back with new dates and a new album! Uniquely strange indie rocker Jack White has been one of the most intriguing artists to emerge over the last few decades. 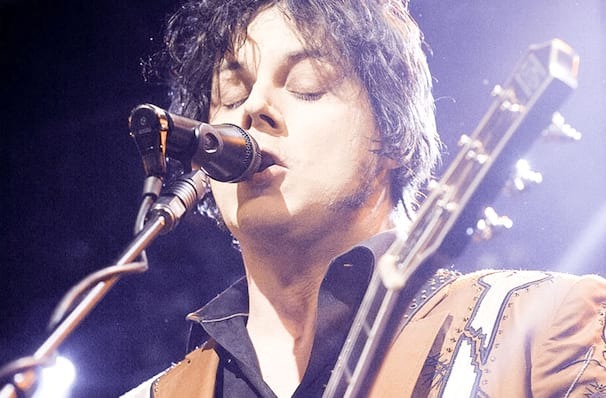 From his barnstorming work with The White Stripes, The Raconteurs and more to his ever-evolving solo career, White has refused to fit into a neat box, and is all the more popular for it. Although White's nasal voice and loose, fiery guitar delivery were typical of the White Stripes' early work, the group branched out as its reputation grew, building upon an initially minimalist sound with elements of metal, backwoods country, pop, and early rock & roll. Now on his third solo album release, the upcoming Boarding House Reach, White is ready to head out on tour for the first time in nearly four years. Created under conditions resembling his own isolated teenage bedroom and using the same instruments, an approach he has joked has produced "good gardening music or roofing music or, you know, back-alley stabbing music." Good to have you back Jack. Sound good to you? 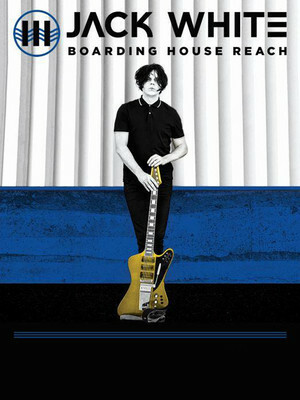 Share this page on social media and let your friends know about Jack White at Kings Theatre. Please note: The term Kings Theatre and/or Jack White as well as all associated graphics, logos, and/or other trademarks, tradenames or copyrights are the property of the Kings Theatre and/or Jack White and are used herein for factual descriptive purposes only. We are in no way associated with or authorized by the Kings Theatre and/or Jack White and neither that entity nor any of its affiliates have licensed or endorsed us to sell tickets, goods and or services in conjunction with their events.